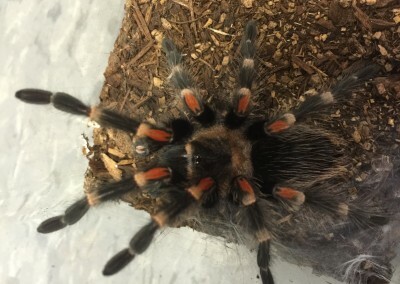 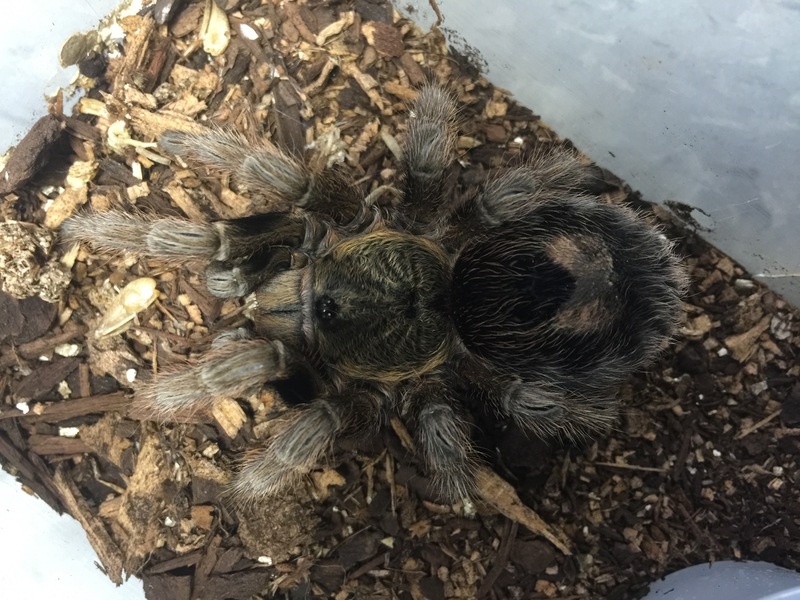 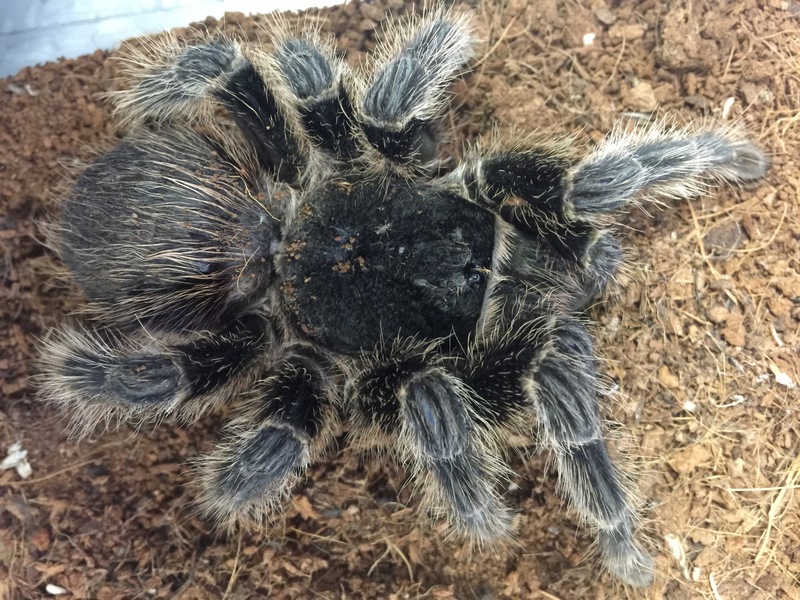 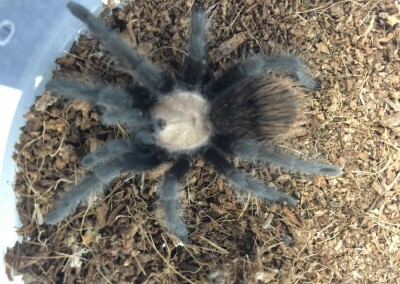 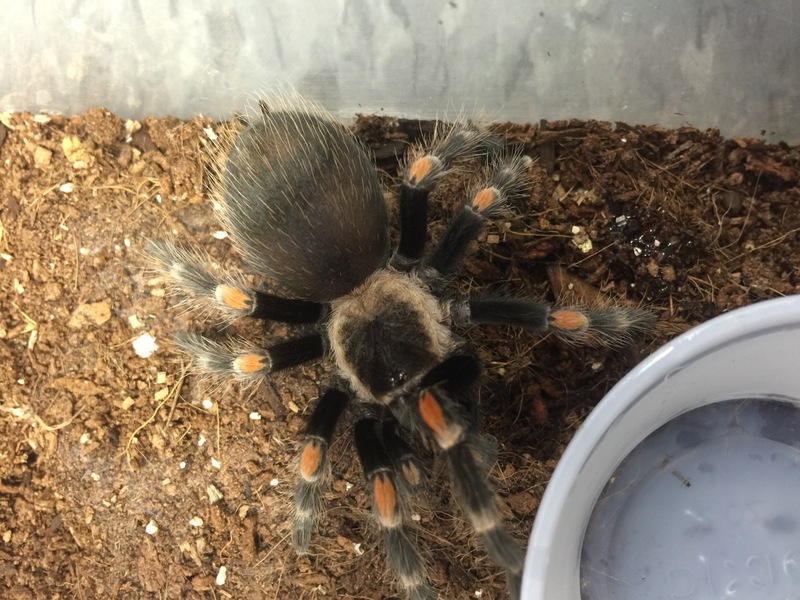 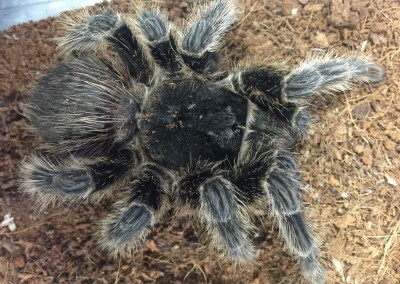 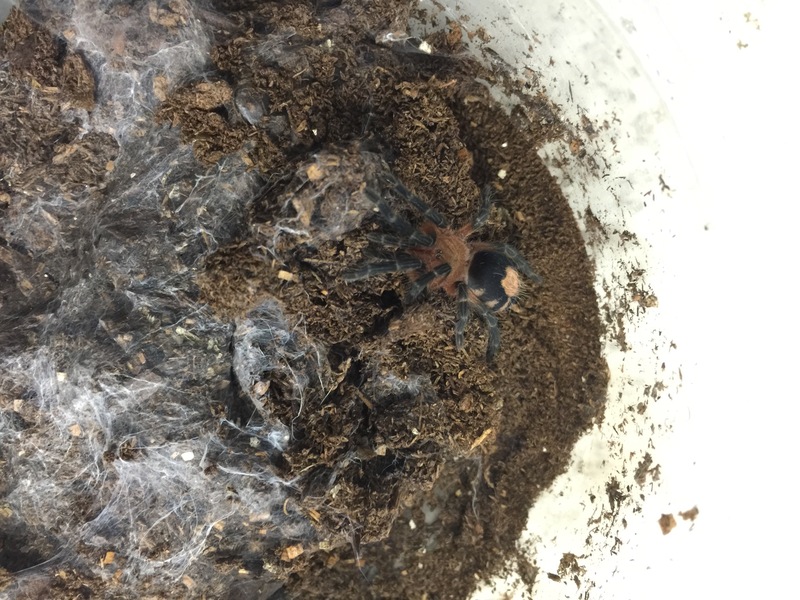 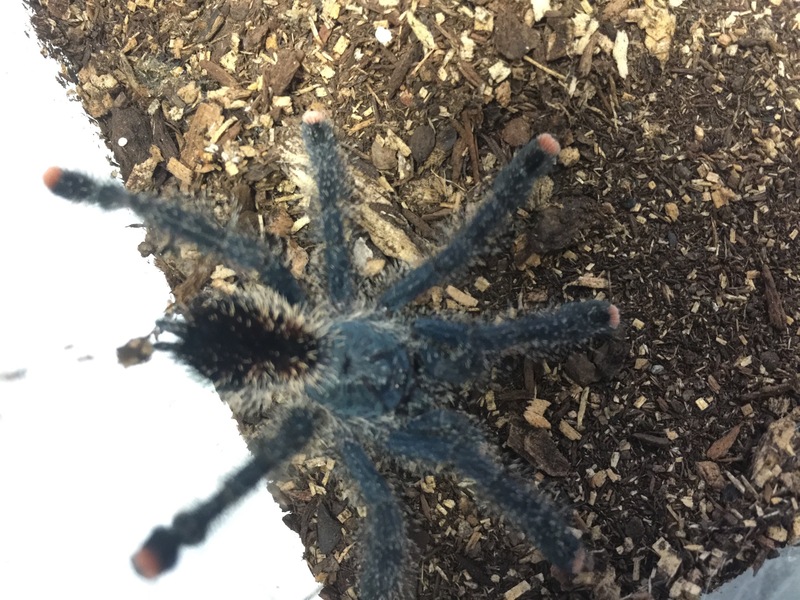 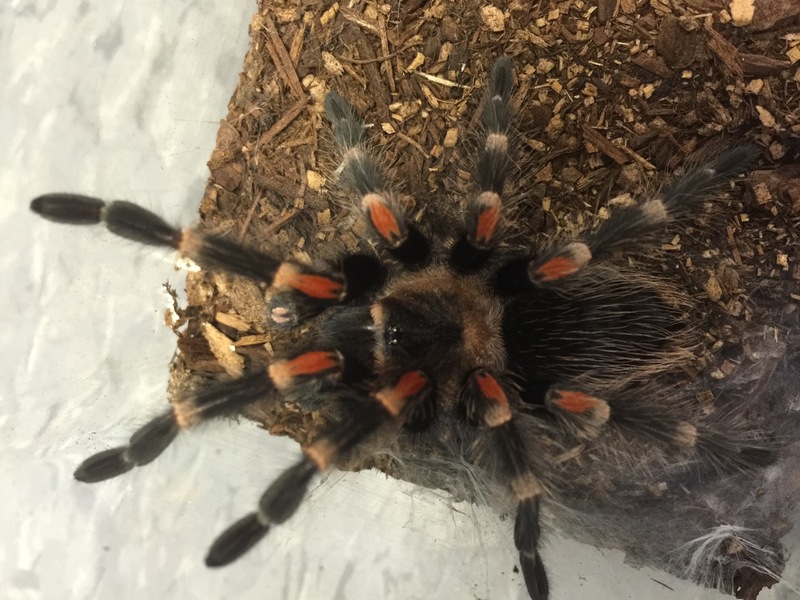 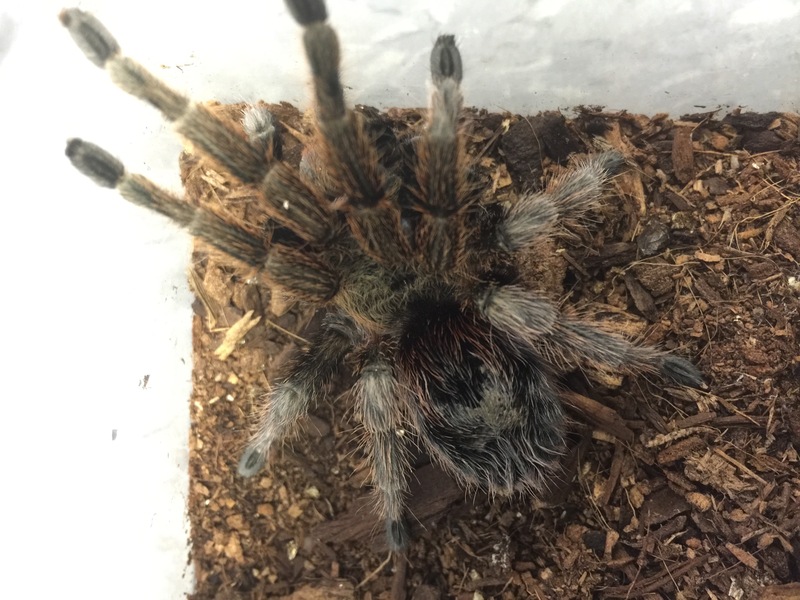 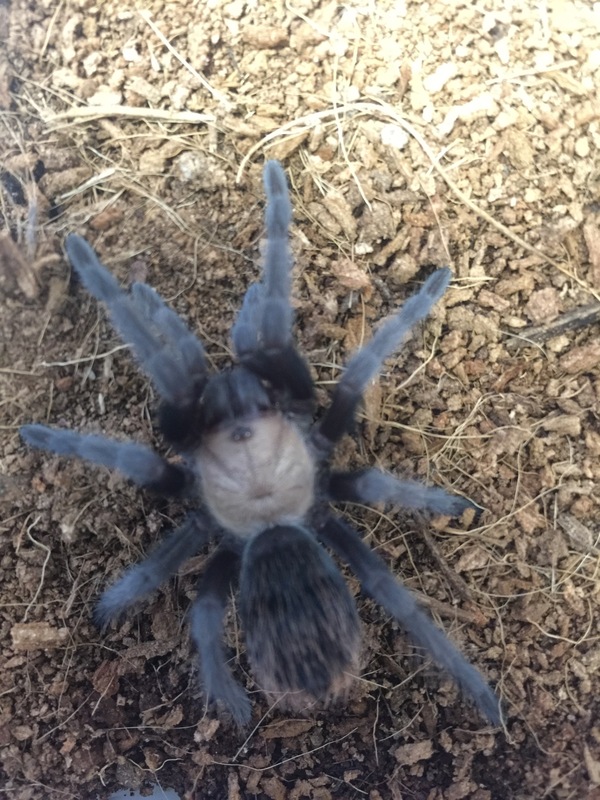 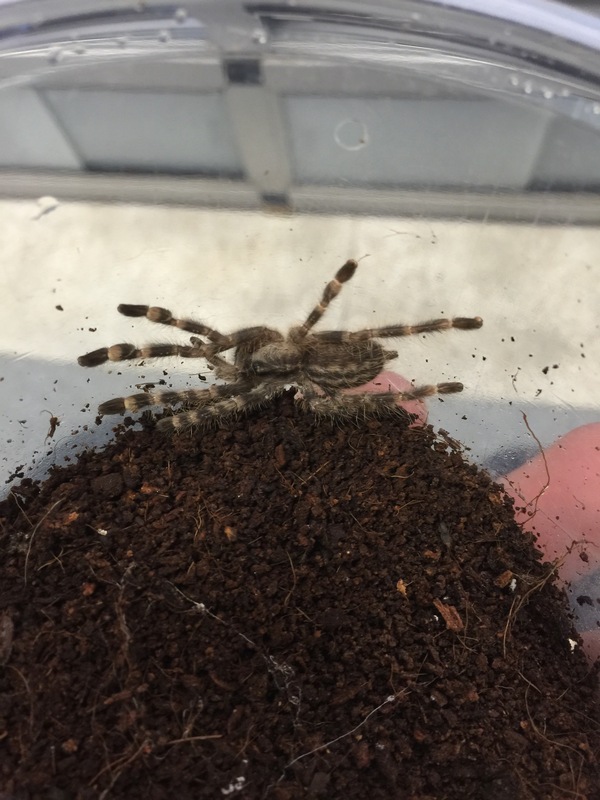 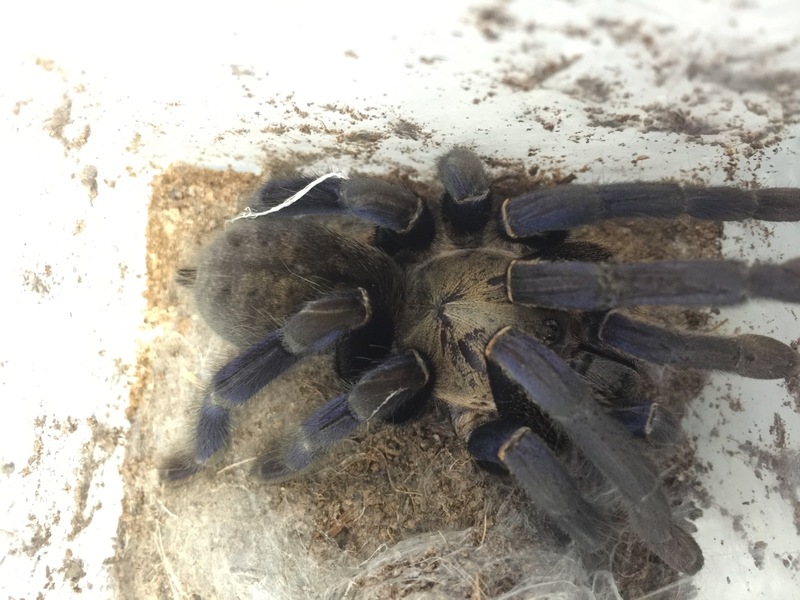 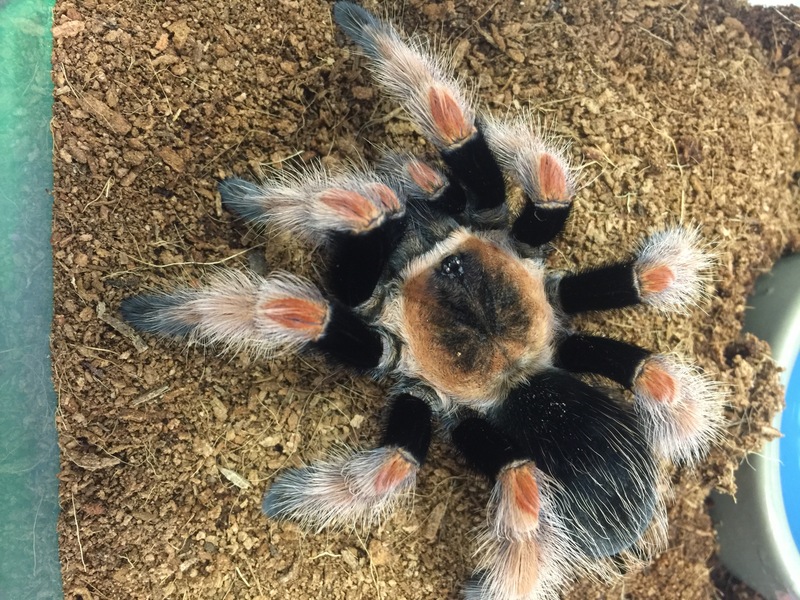 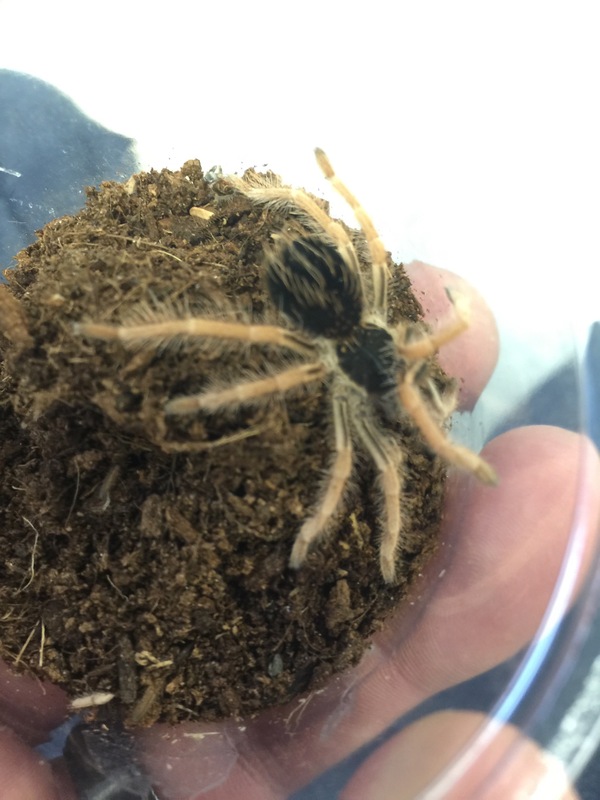 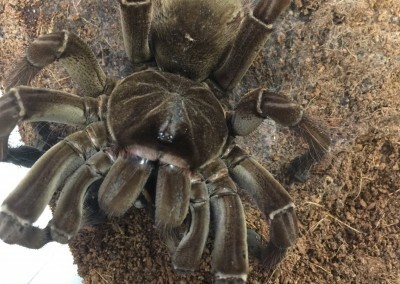 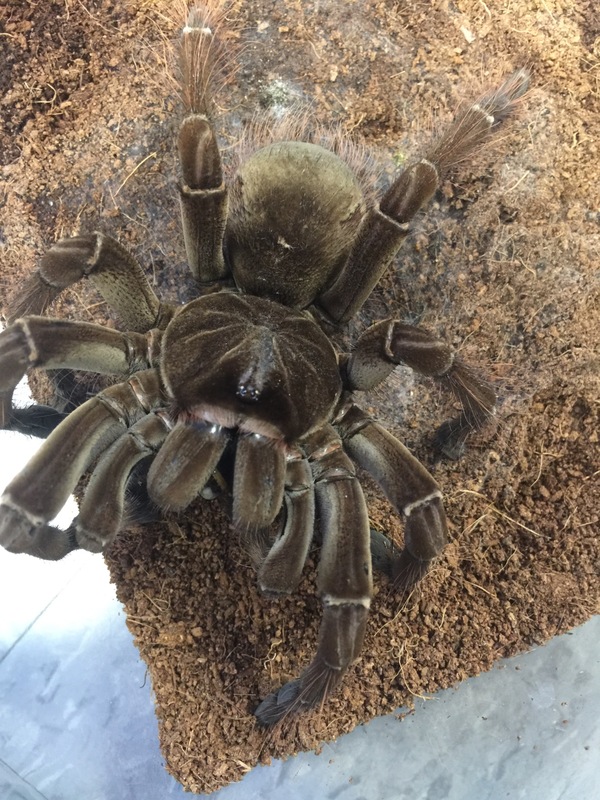 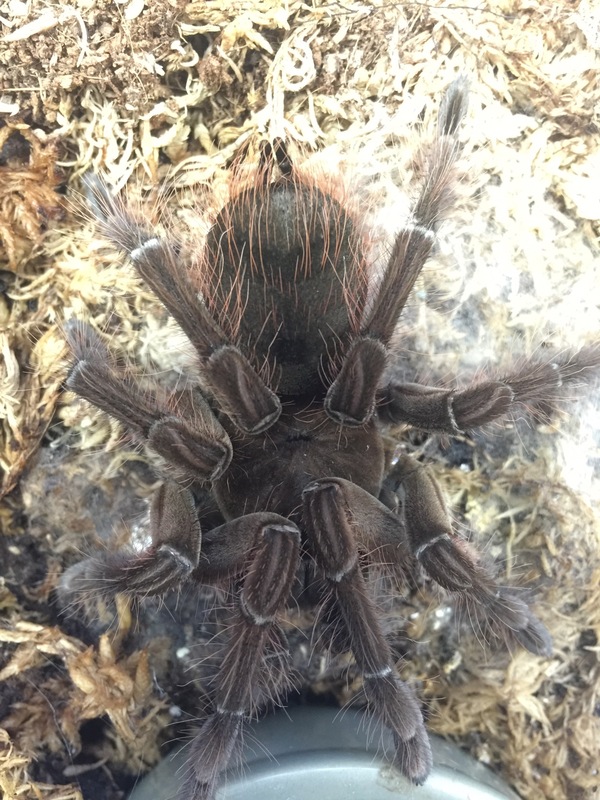 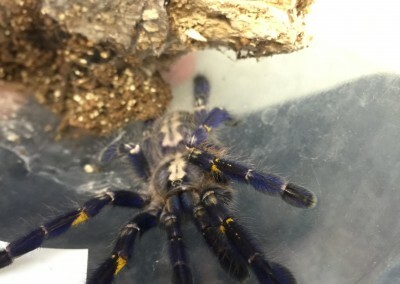 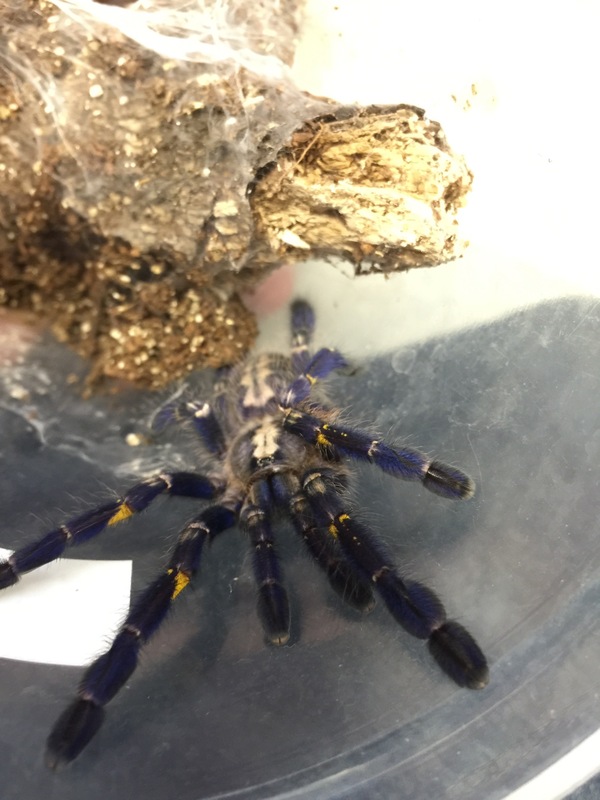 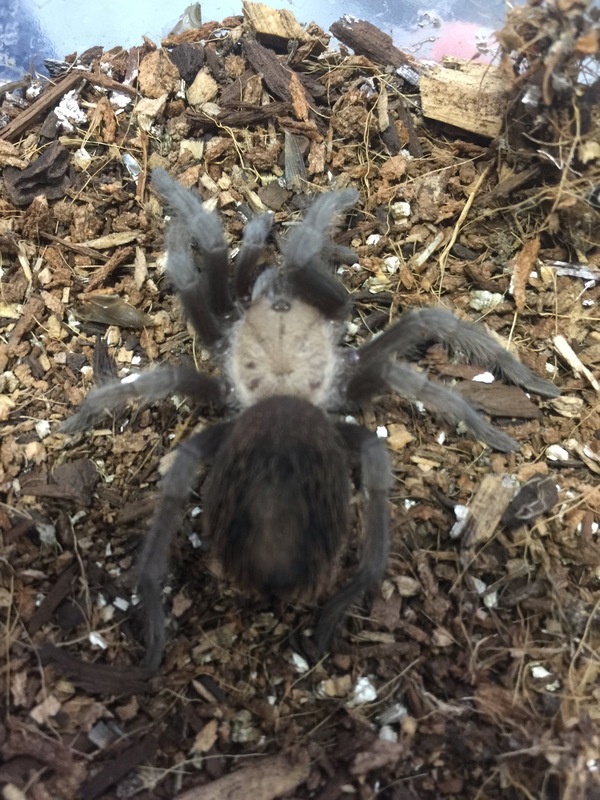 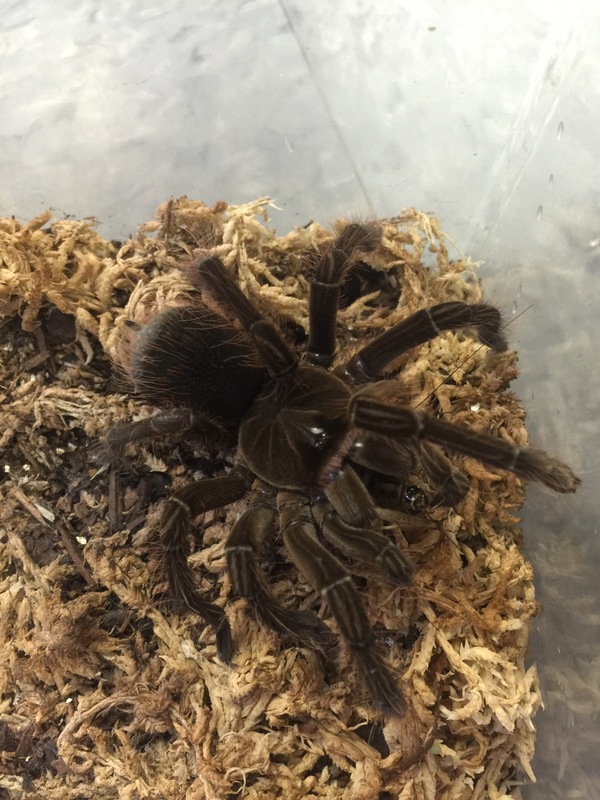 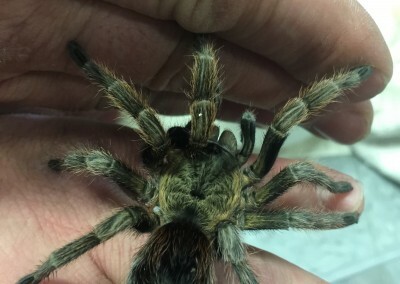 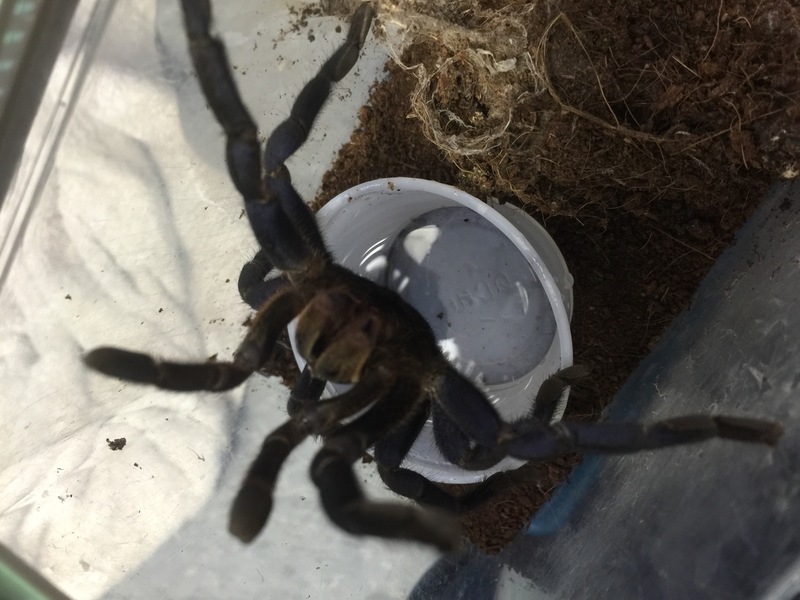 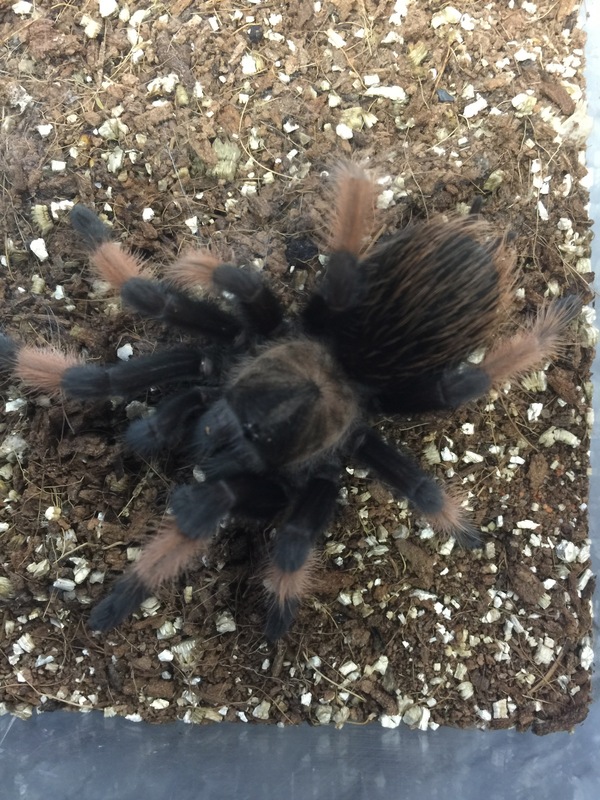 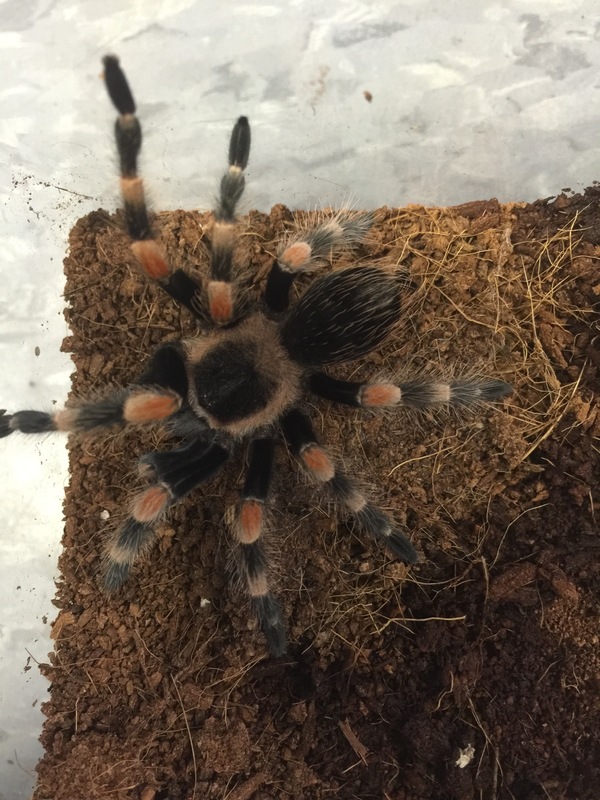 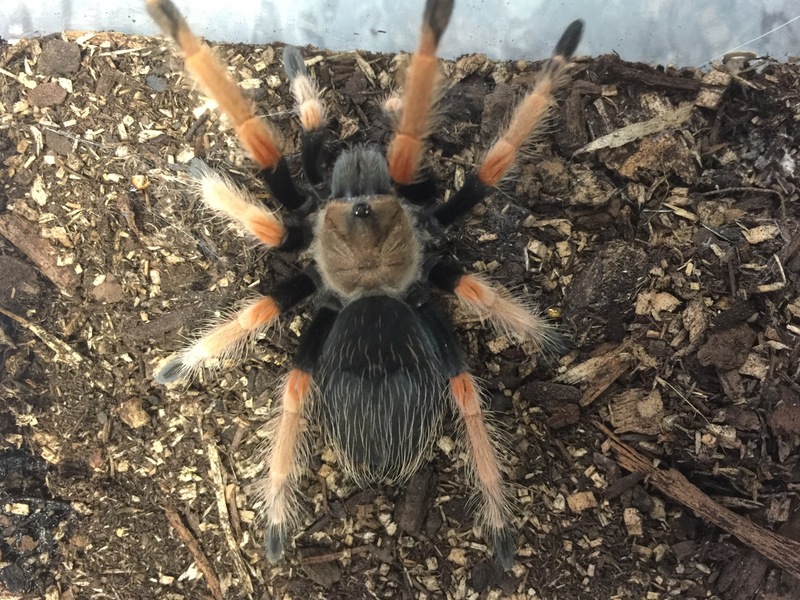 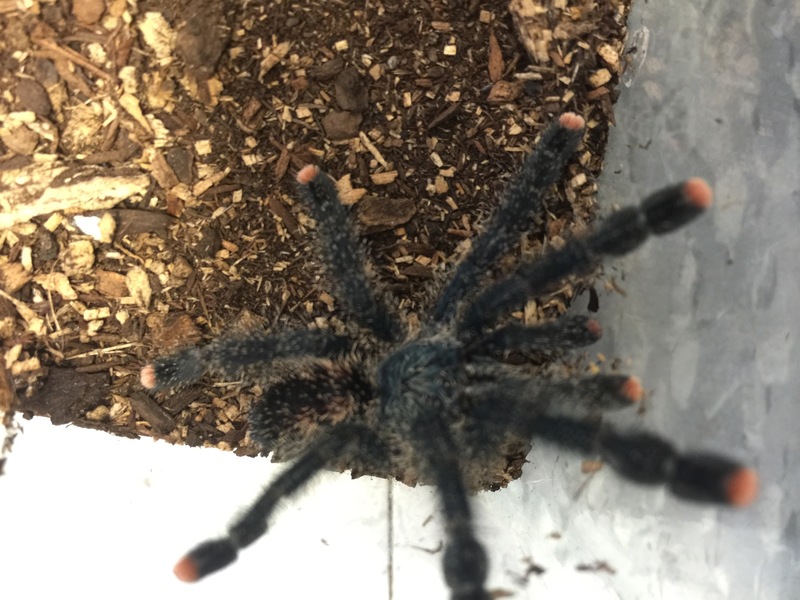 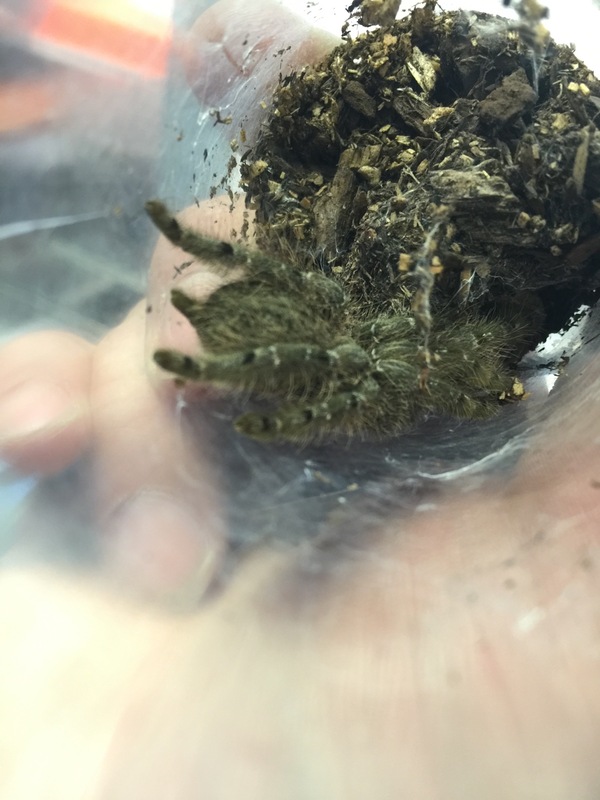 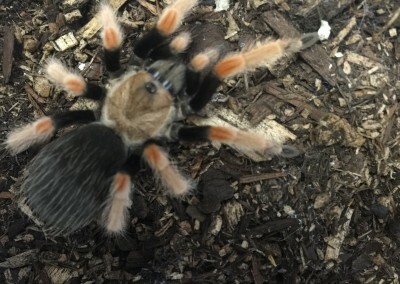 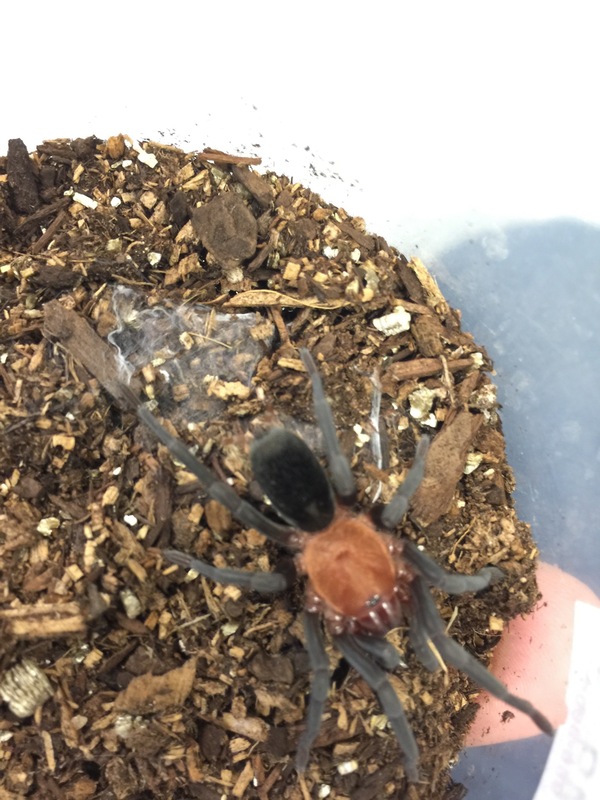 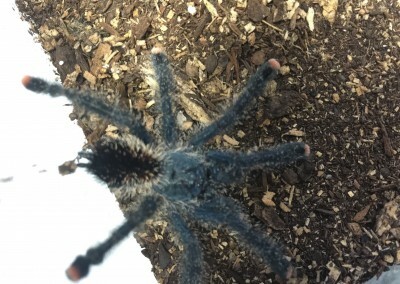 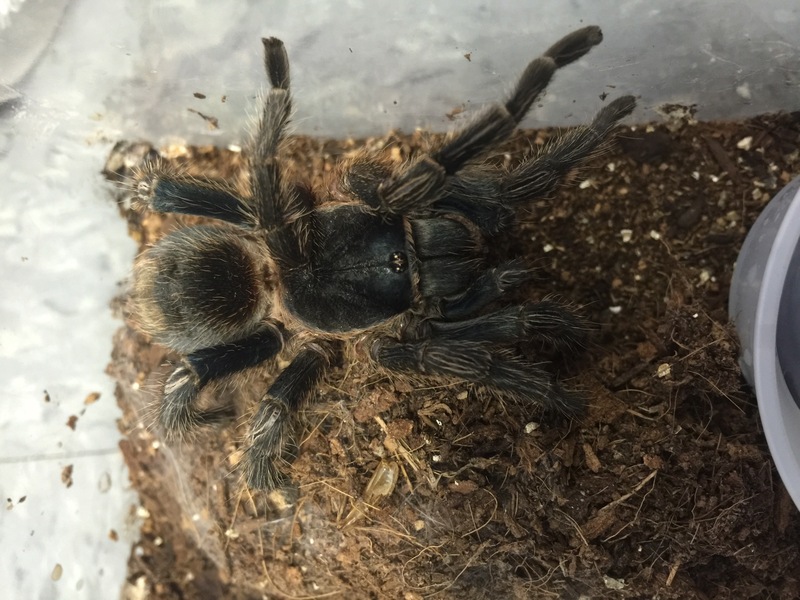 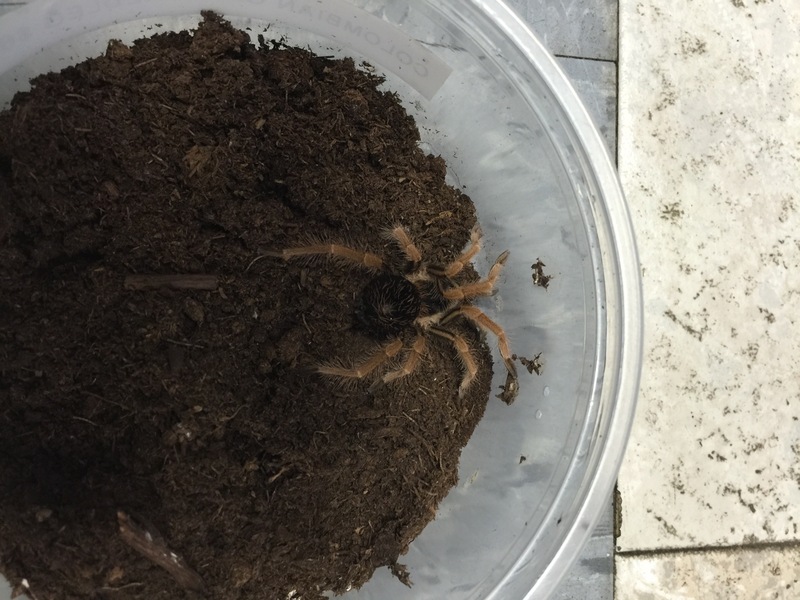 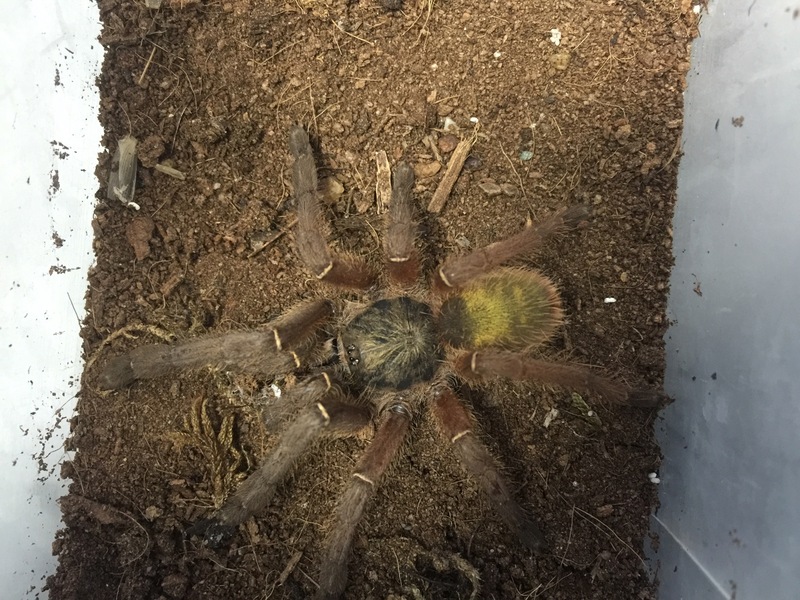 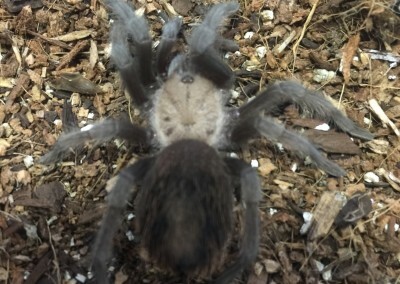 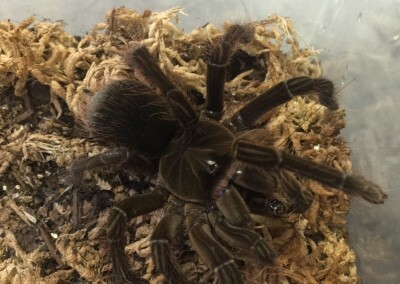 Come in today and check out our inventory of Tarantulas. 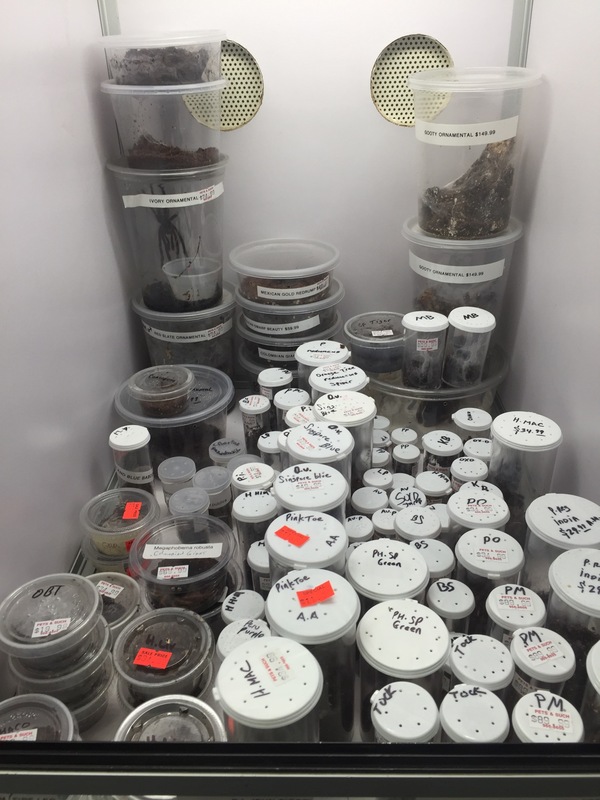 We have the largest selection in the state!!! We have a great selection of Slings in stock!!! 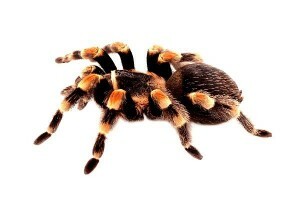 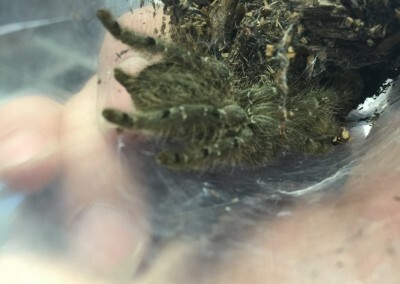 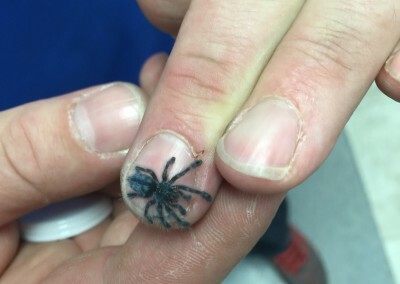 Tarantulas have been a relatively popular pet now for several years. 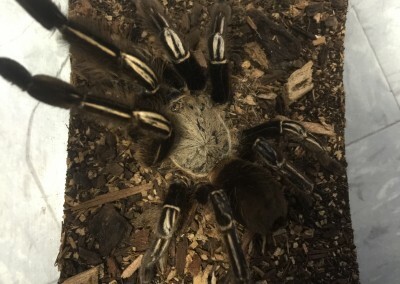 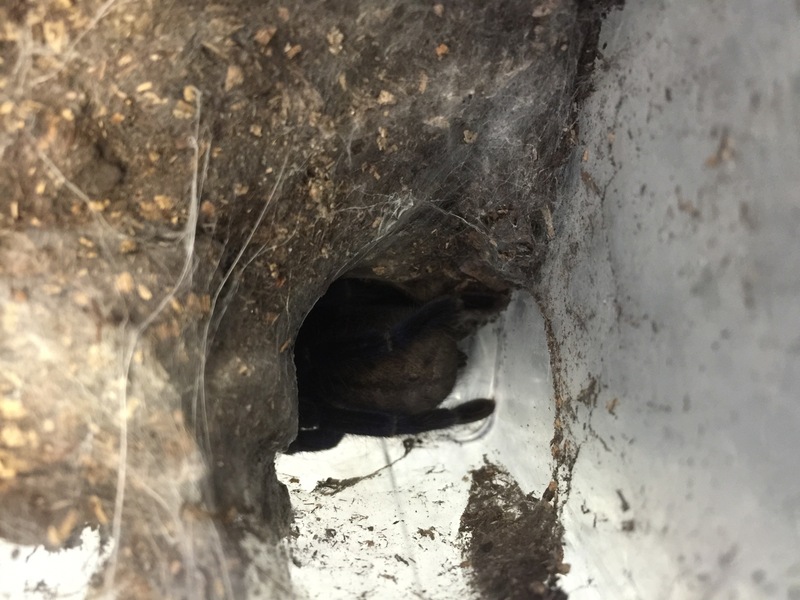 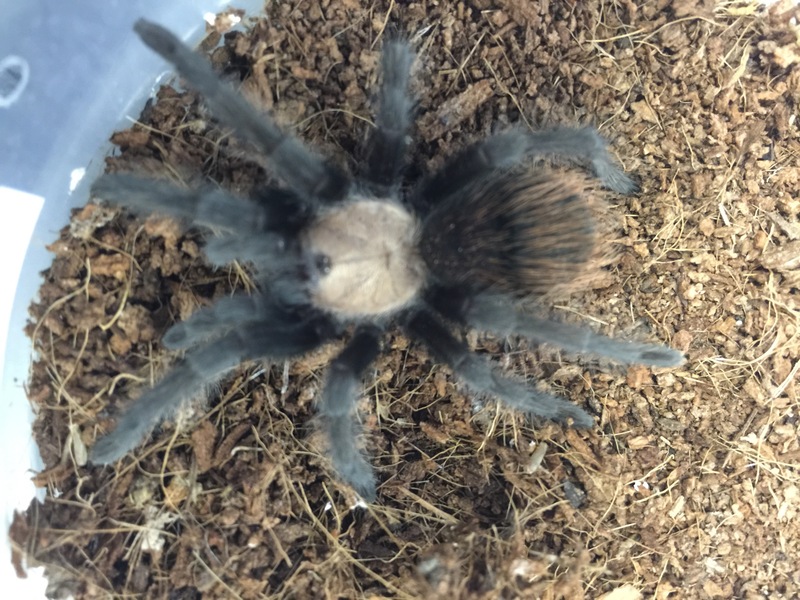 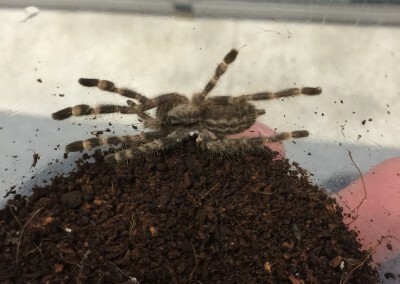 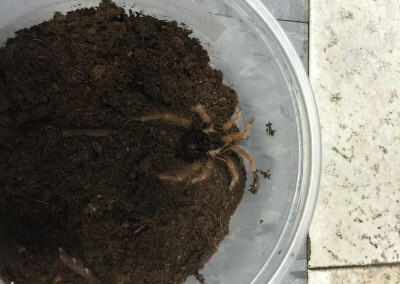 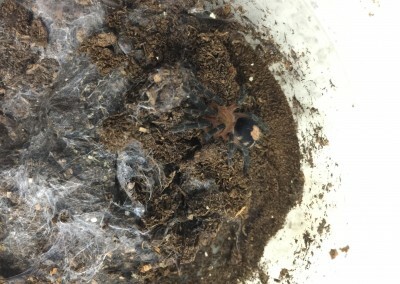 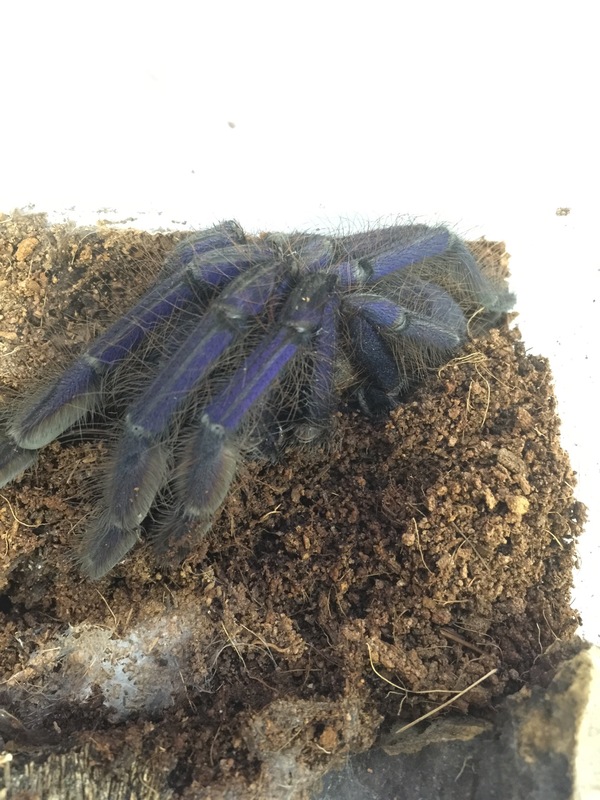 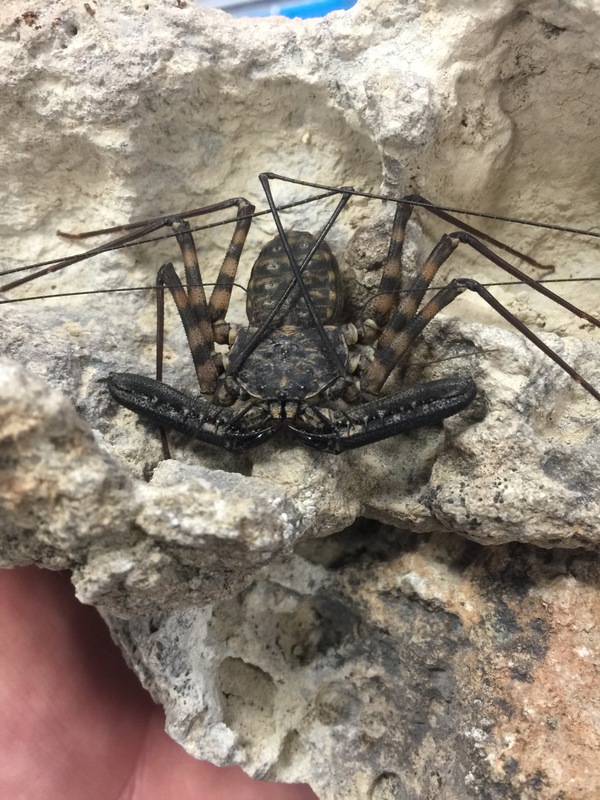 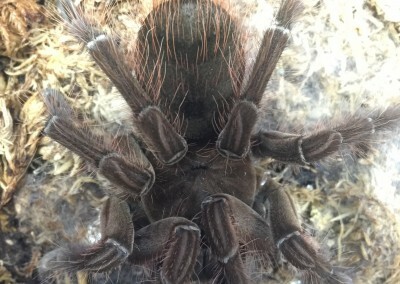 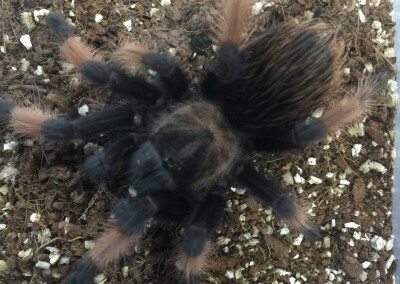 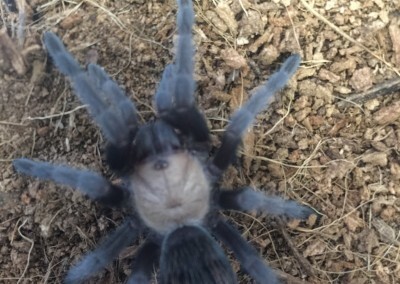 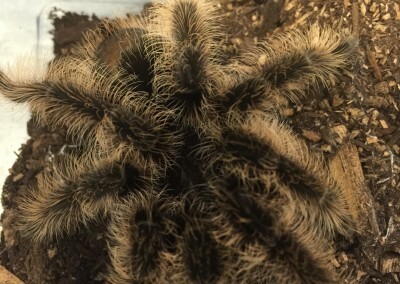 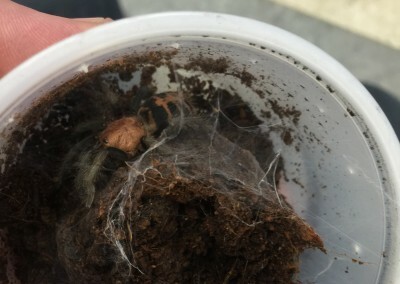 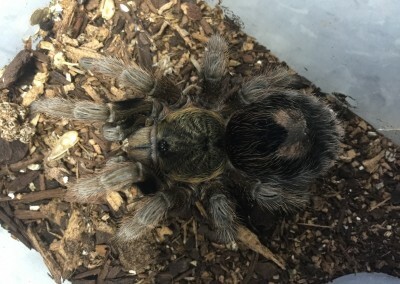 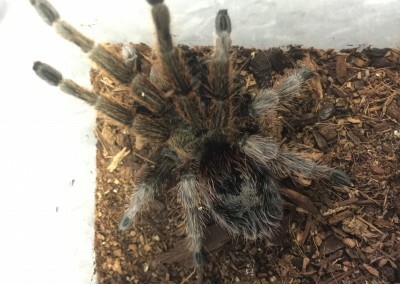 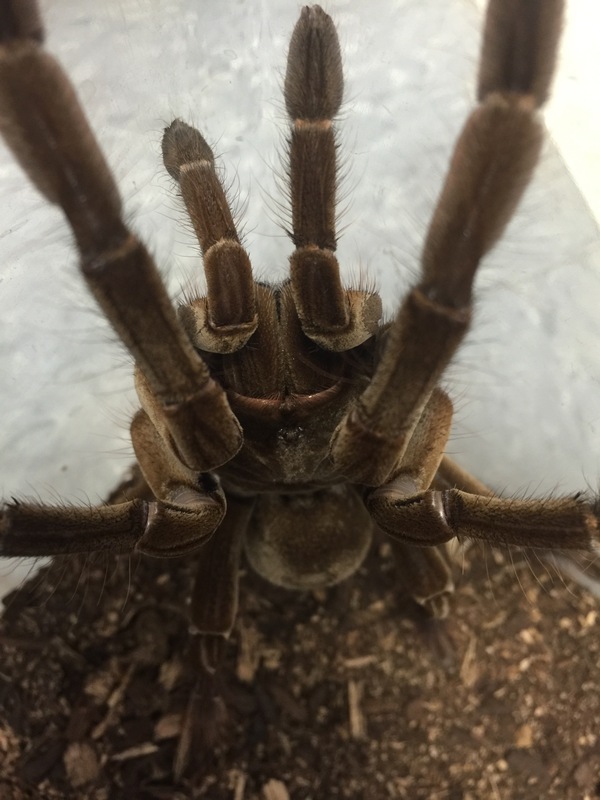 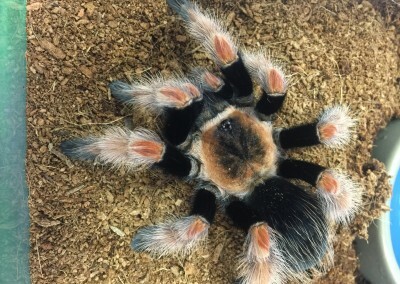 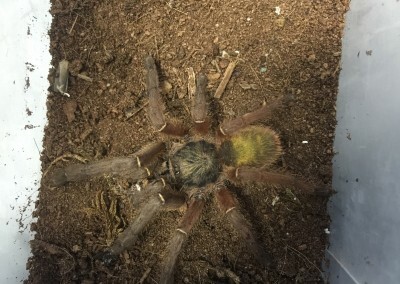 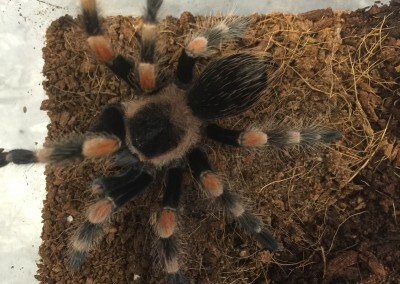 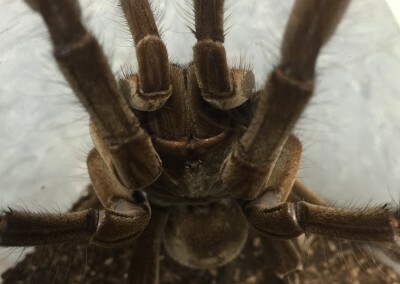 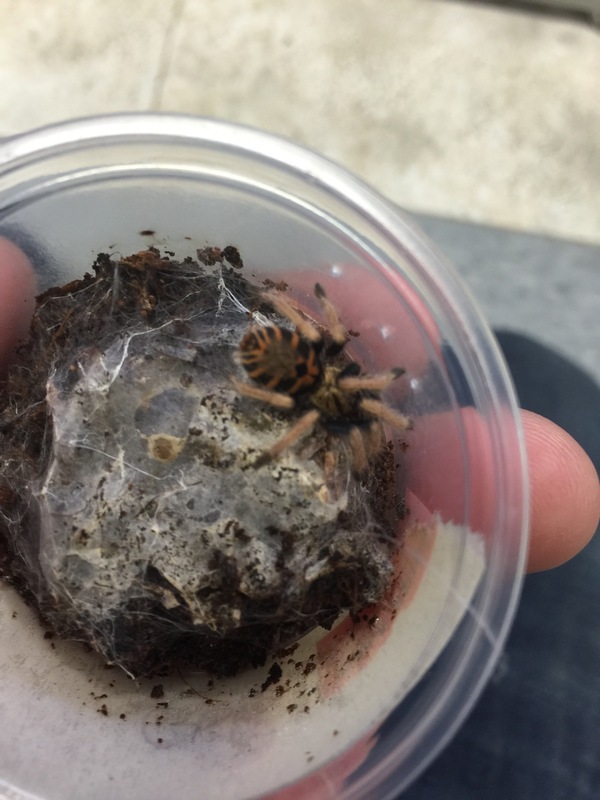 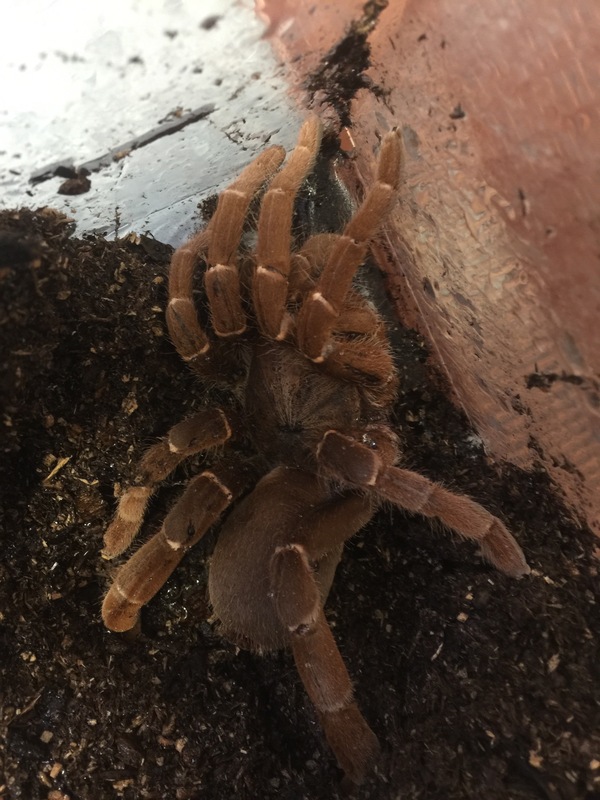 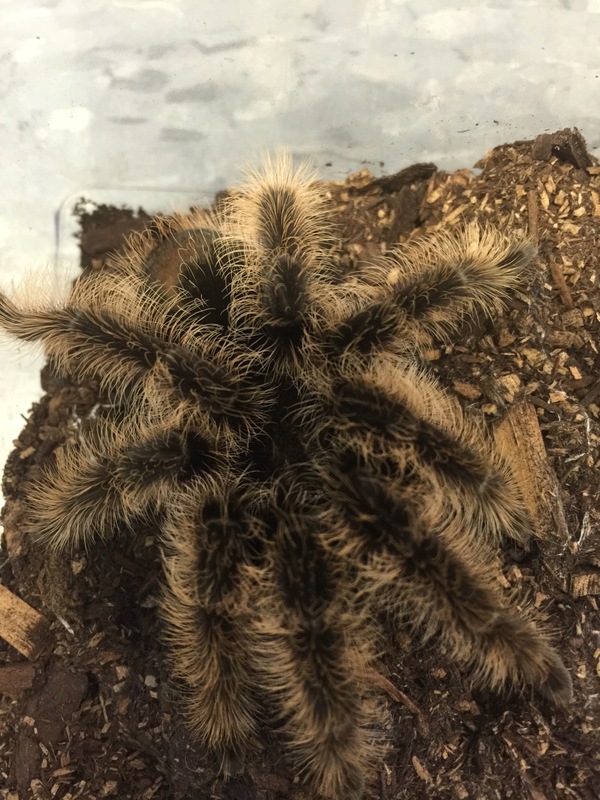 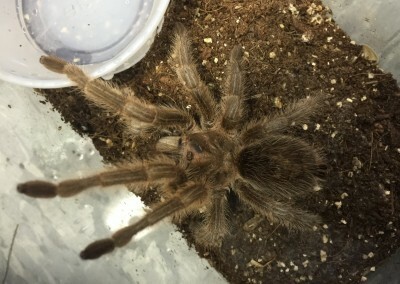 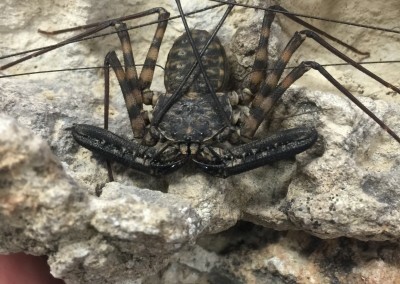 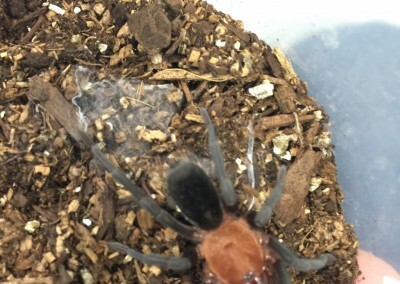 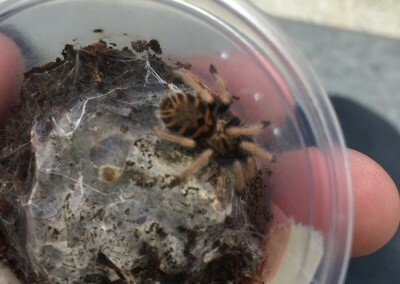 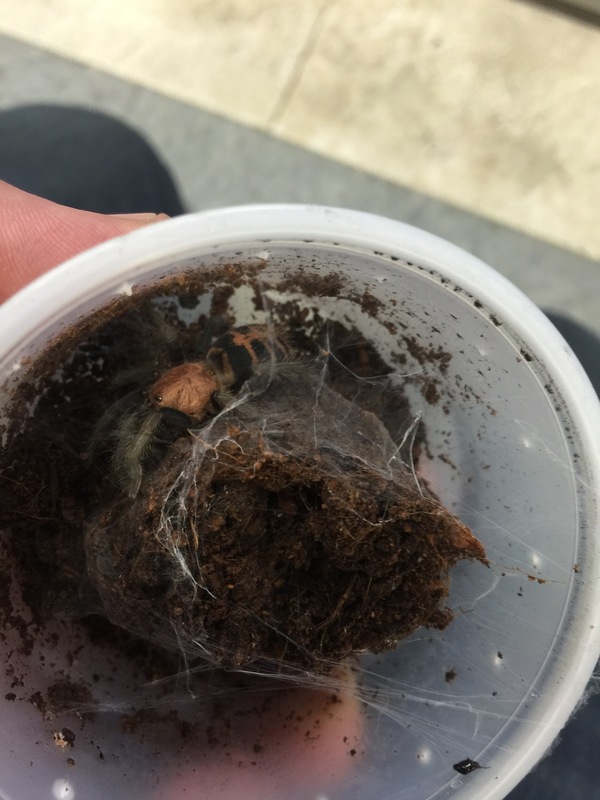 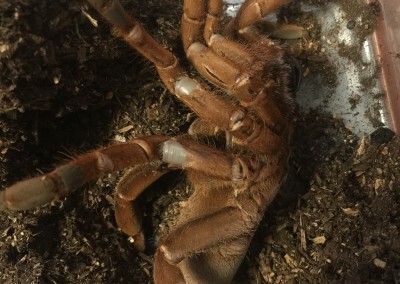 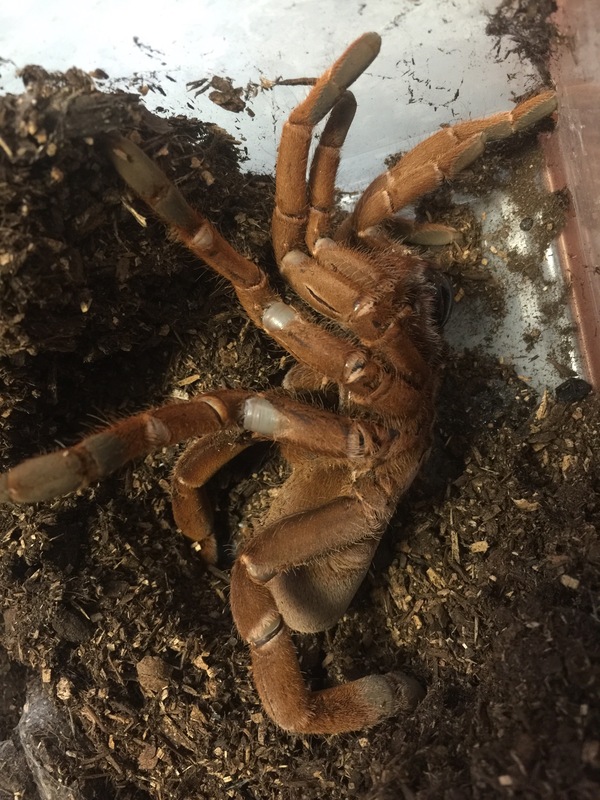 They are unique, quiet, and need little space, and keeping tarantulas as pets can make a fascinating hobby. 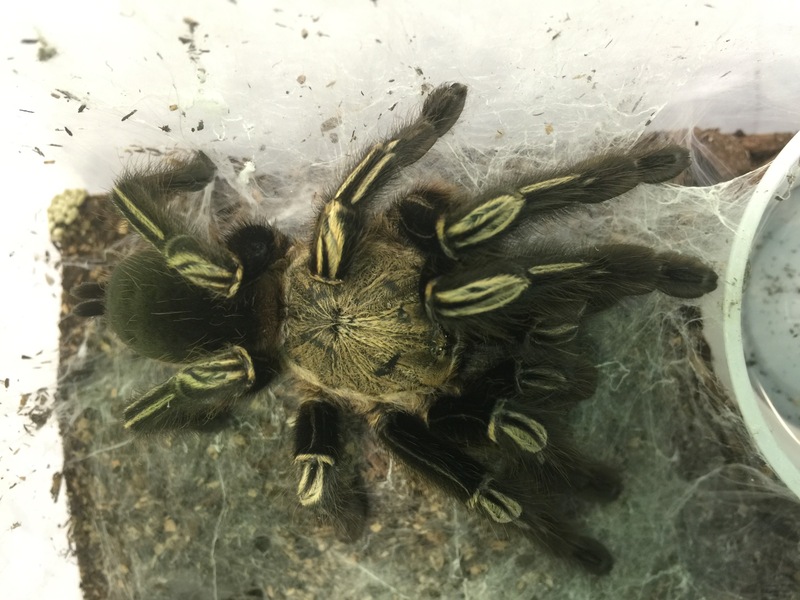 There are many species available in the pet trade in a vary of sizes and appearances, and they are usually easy to care for, but that depends a bit on the species. Because the needs for housing and care will vary for different species, it is important to understand the species being considered as a pet. 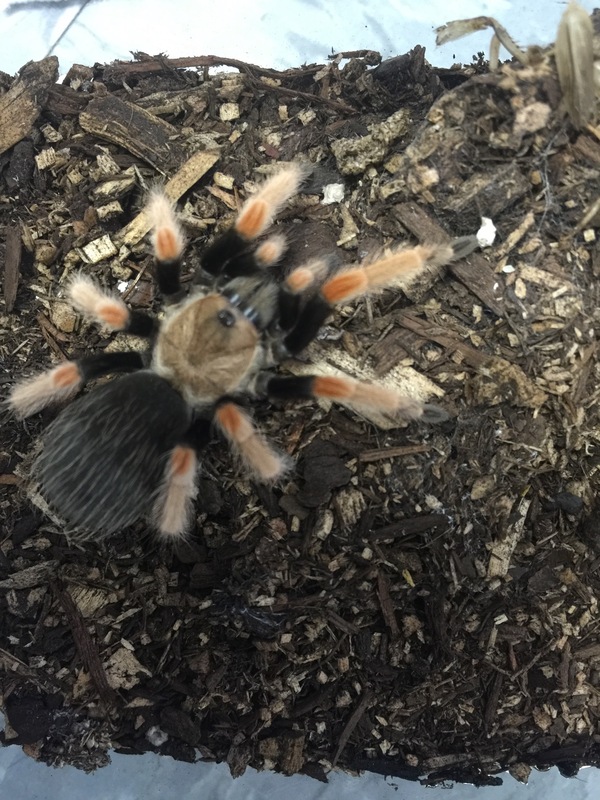 Come in and browse our tarantula inventory and speak with our knowledgeable staff we will help find the right tarantula for you. 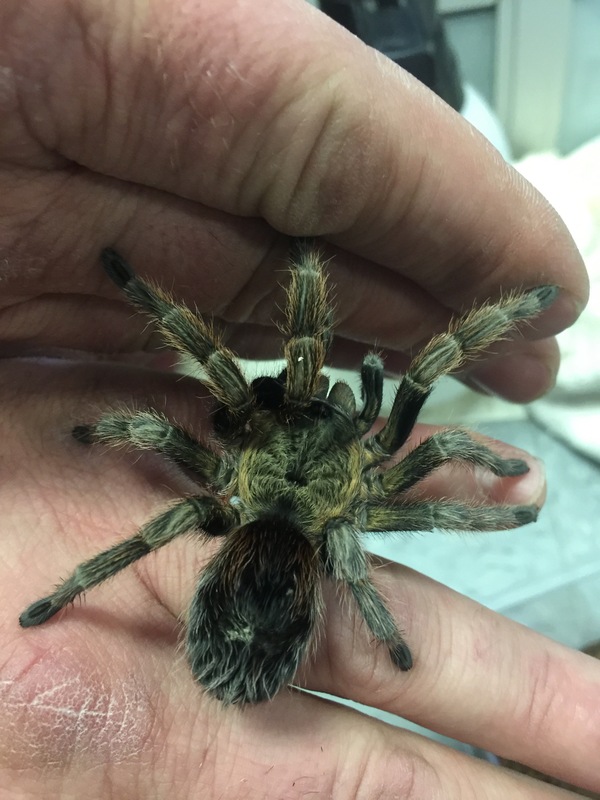 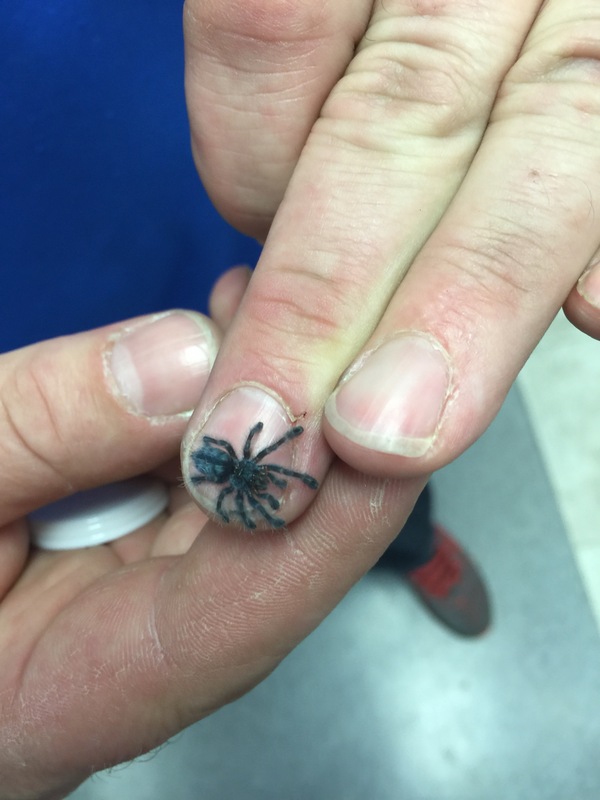 We carry a variety of enclosures and equipment to help care for your new 8 legged friend. 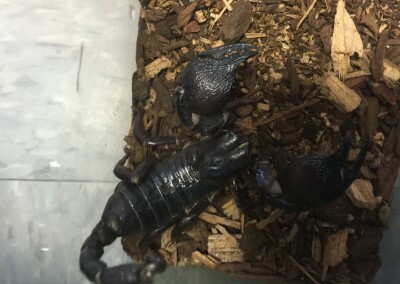 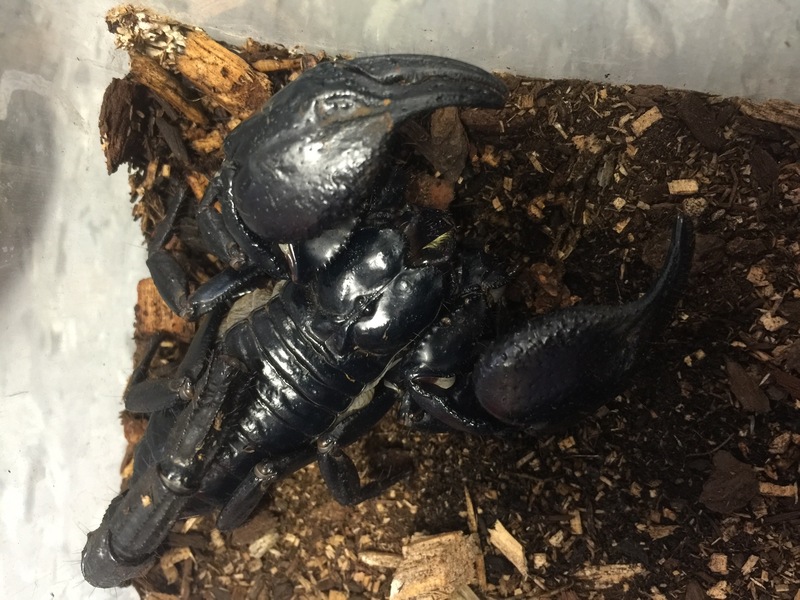 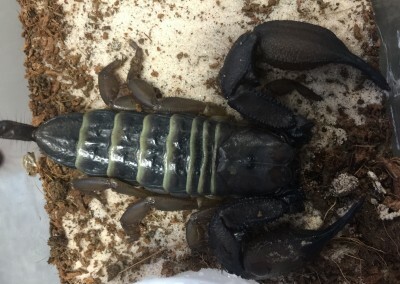 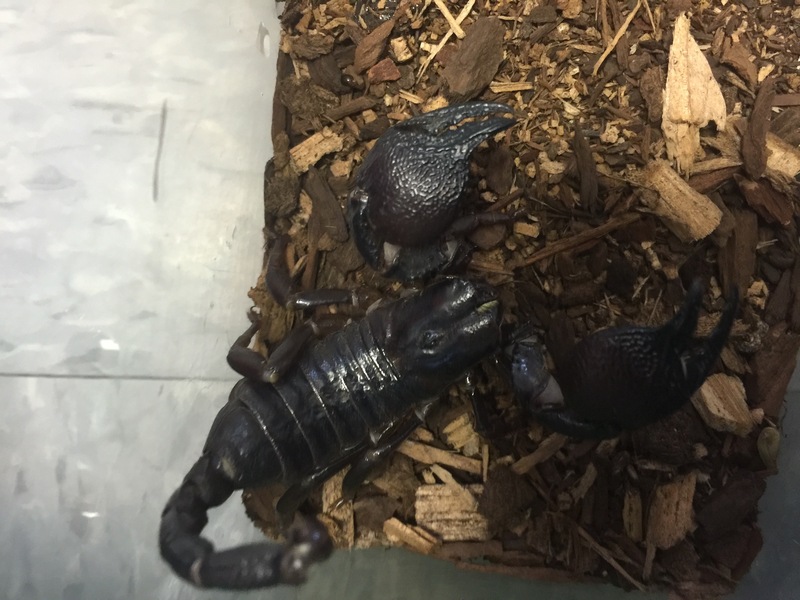 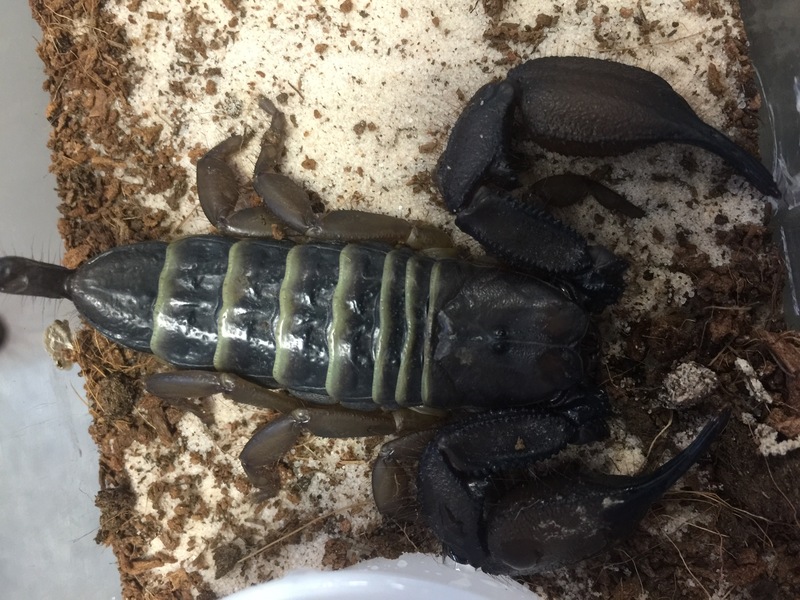 If you are looking for an interesting and unique pet, a scorpion makes an excellent choice. 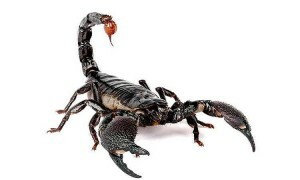 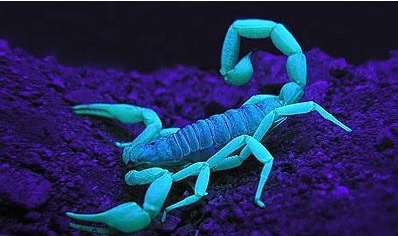 We have a nice selection of scorpions and everything you need to care for them. 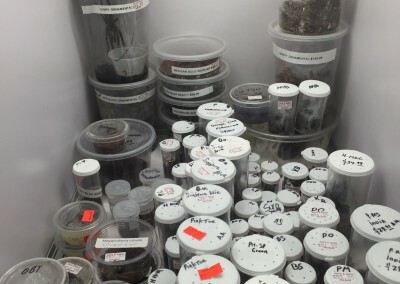 Come in and browse our inventory today.